Ios vibrant nightlife alongside with the long, beautiful coastline and its sandy beaches, the crystal clear waters make this island an ideal place to enjoy your summer holidays. 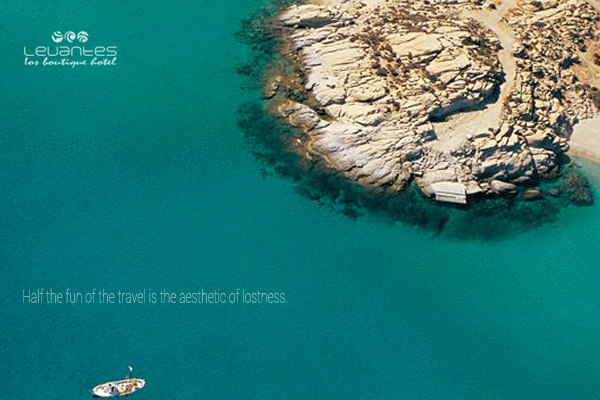 It is the diamond of Cyclades. Many visitors take advantage of the island hopping of Santorini at Ios for only a few day so as to explore Ios! If you have 3 days on your disposal to visit Ios Island take your time and visit the most significant places in this beautiful island. 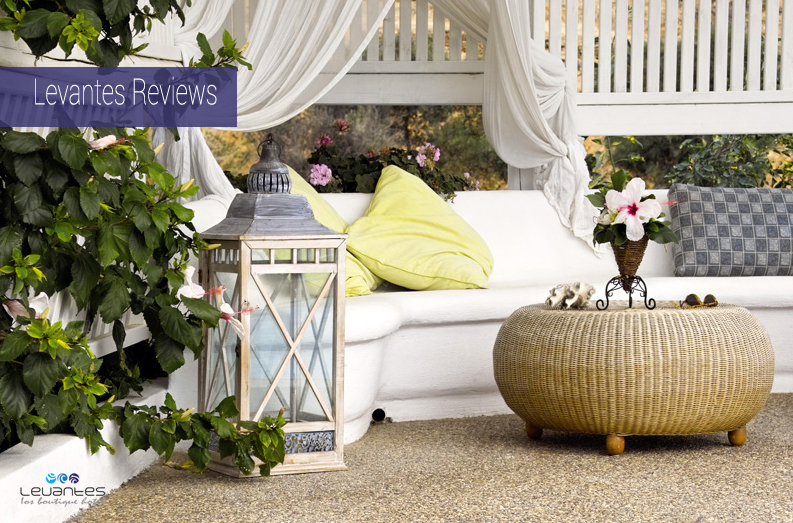 Read what Levantes lovers think about us on storify. What our guests loved, liked and what they think could be improved, it's all here to help you take the correct decision on your holidays on Ios Island. 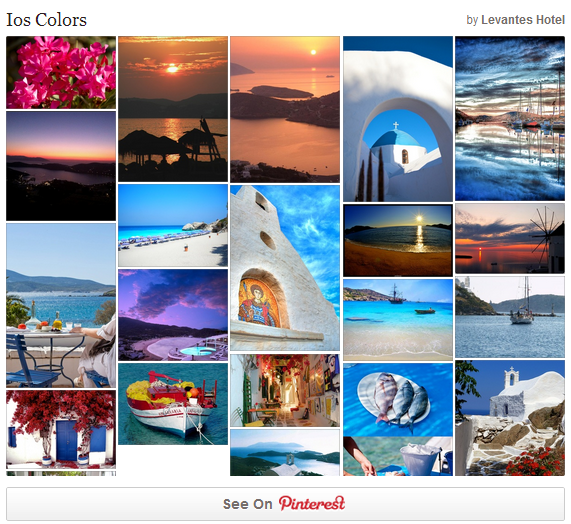 On the picturesque island of Ios, and especially in Chora, colours abound. Walking on the alleys of Ios Island, your eye may catch a particularly astonishing colour whether on the steps in narrow white washed paths or in the blue colour of the sea beneath. Relax by the pool all day long or soak up the Greek sun! 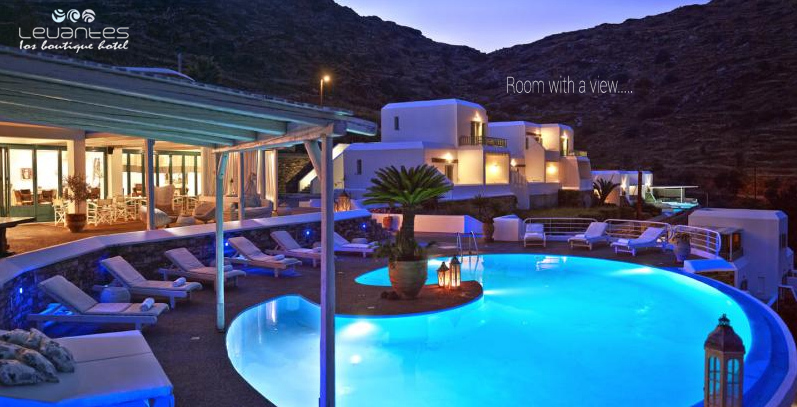 Levantes Ios Boutique hotel is literally "hanging" over the golden beach and the crystal clear blue waters of Ios. A fresh arrival in the Ios landscape that brings Ios at the heart of the archipelagos. Built according to the traditional architecture of Ios island Levantes Ios luxury hotel beautifully combines its whiteness with the blue colour of the sea. 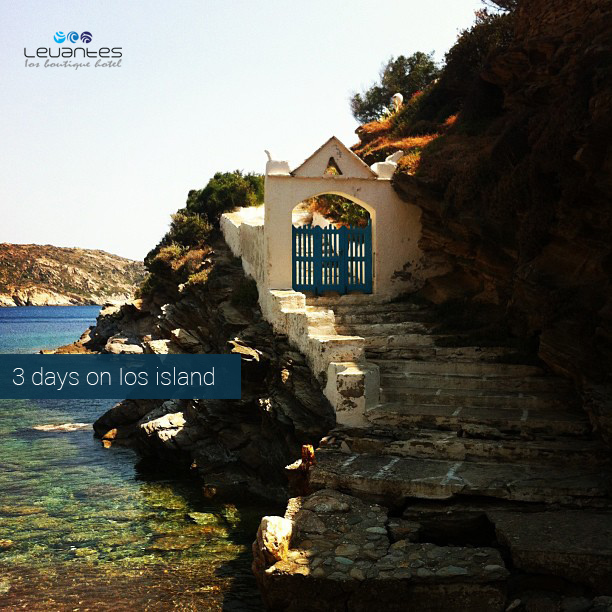 Looking for something to do in Ios Island? Try some watersports, go windsurfing or waterskiing, take a banana ride or a tube ride. Hire a pedal boat, canoe or kayak, you can go snorkelling. Another option to have fun with your party is to hire a speedboat taxi to one of the many beaches in Ios. Go see the world. Explore. Dream. Discover. These might have been the words your grandparents gave you as a child, to be braver and take the world on head on. These words have become truer than we could have imagined as the years passed by. A lifetime of travelling is a valuable experience - it is something that you cannot live again. Travelling is the only thing you can buy that makes you richer. It’s summer and you are on Ios island. You just met this girl; you are full of love… this lust you just cannot avoid! You feel dizzy, but it summons your courage, conquers your blood, your thoughts, and your mind… every piece of you needs to be near her! You are on Ios Island; where anything can happen!